Local raceway for Screven County, Georgia. Husband and wife Pure Stock dirt team competes at Screven Motor Speedway. Located in Newington the 1/3 mile, semi banked, clay, oval track features Legends, Pure Stock, Late Model, Ladies Enduro, Super Street and Mini Stock racing events. 2004 Screven Motor Speedway Super Latemodel Points Champion, 2002 Putnam County Speedway Limited Latemodel Points Champion, and 2000 Golden Isles Speedway Latemodel Points Champion. Includes history, statistics, news, and pictures. SiteBook Screven City Portrait of Screven in Georgia. 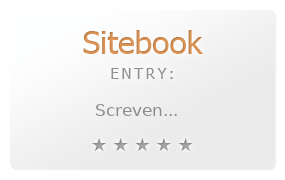 This Topic site Screven got a rating of 4 SiteBook.org Points according to the views of this profile site.